MADD College Gala Showcase 2017, Nottingham Playhouse. MADD, the Midlands Academy of Dance and Drama provide one of the leading Musical Theatre courses within the UK and is based in Nottingham. The college itself is a building buzzing with thirty members of staff as well as welcoming Guest Practitioners from the industry to help develop the skills and strength needed to make their mark in the industry profession. I'm no stranger to this kind of thing after nearly hoping to get into a college like MADD before going to a mainstream college instead, therefore it always interests me to see what kind of thing they're producing in this form of college. Not only is MADD known for it's professional Musical Theatre qualifications and training opportunities, it's also a hub for both children and adult dance classes too. This makes it an important part of Nottingham's dance scene. 2017 itself holds a special year for their college as they celebrate their 50th anniversary. They have marked their anniversary with a range of exciting performances and events running until October 2017, with their MADD College Gala Showcase being one of those. 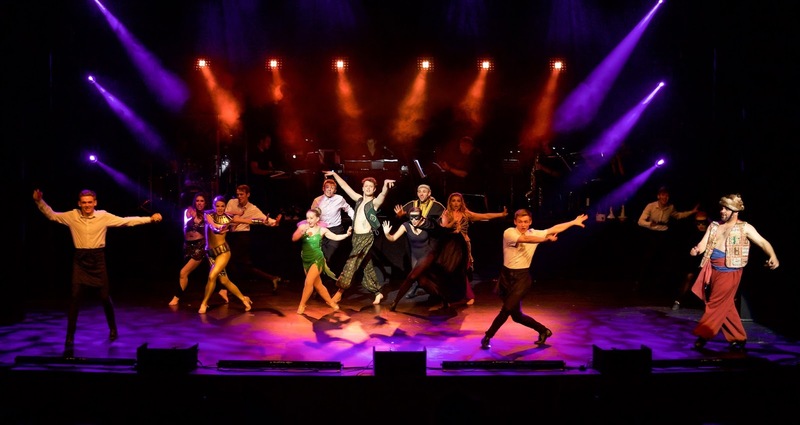 Their college gala showcase is a yearly event which enables all of the aspiring professionals to get a first hand experience of performing professionally in a great theatre space, Nottingham Playhouse. It's also an open invitation to show what kind of work they have been developing during the year with the support of their friends and family. What also makes this performance special is the opportunity to perform alongside a live band, something which also challenges the performers to work outside of just a backing track. With the 'Year of Love' being their entitlement for the showcase I couldn't wait to see whether the love translated from the performance pieces out to the audience. I definitely felt the essence of the blood, sweat and tears from the performers in order to execute the variety of different pieces they had brought together in the production. They definitely had a play with the atmospheric touches and emotion required for them to convey. The pieces were broken up between the various year groups or from a selection process, depending on the individual choreographer and piece. The opportunity for some of the younger performers to dance alongside some of the graduates was a great touch to some of the pieces and brought a sense of unity that MADD has. 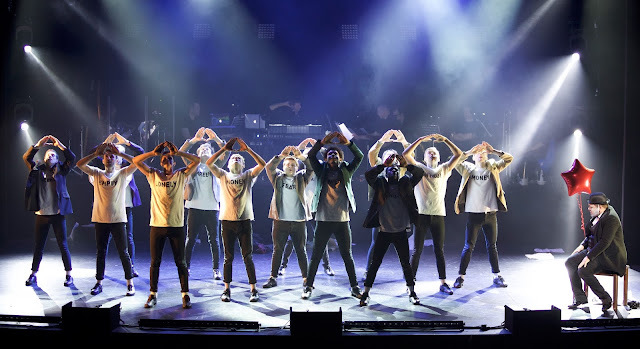 I also thought that bringing into the forefront some of the vocal talent within the MADD college enabled for those individual talents to be encouraged and shown in front of the audience, especially when some of the songs were technically quite difficult. I particularly thought that 3rd year student Sian Fletcher's performance of Screw Loose showed a real vibrant and out there personality that can be difficult to do as a soloist. There were definitely some odd occasions where I thought that the energy levels weren't maybe as vibrant and punching as I had expected from a gala showcase, I wanted so much more that was bouncing off from the stage. One occasion in particular that comes to mind was the more upbeat, commercial piece Collide choreographed by Stuart Hayes to me just needed the energy. It would need encouragement from the audience to help make it more punchy and vibrant as I would expect from this specific choreographic style. So when Mark Webb's Carnival of Colours was performed it was a welcoming sight with a lot more energy and punch than the earlier piece of similar style. The slick choreography and gorgeous, hearty vocals from Layla Gill-Dale in Bye Bye Blackbird brought back a nostalgic feel for me in college and managed to capture the essence of the Fosse style. The 2nd year students definitely had the energy, flare and commanding feel to them, showing that they are going to be quick to step into the shoes of 3rd years from September. I loved watching the 1st years fill the stage (quite literally, they have a great intake for that year! ), they were real confident and able performers, I am excited for how their journey will develop throughout their time under the MADD college influences and teachings. The 3rd years for themselves definitely managed to take to the stage and show what 3 years had seized to do, to make them performers and forces to watch out for in the big world. There was still some feel that they needed just a bit more technical training in executing choreographic elements in specific dance styles but when it's your final showcase I can only bring that down to nerves. The finale performance of Aladdin's Friend Like Me really brought the entire college together in a Disney/Pixar fantasy where all of the year's combined to show what powerhouse MADD College really are. It was the perfect conclusion to the evening.